Combine a romantic playground for the discerning traveler at a private island resort where romance meets affordable luxury with Tokoriki Island Resort, and the experience of waking every morning to a beautiful new paradise while cruising with Blue Lagoon through days of turquoise seas, palm fringed islands, and the intimate tranquility of boutique island cruising… and get the best of both worlds. A Fiji honeymoon couple’s dream vacation in the Mamanuca and Yasawa islands, boasting some of the best beaches in Fiji! Likuliku Lagoon Resort is a haven of subtle luxury and the first and only resort in Fiji with over-water bungalows or bures, as they are referred to in Fiji. From the water it looks like an ancient village, so traditional is the style. The beating heart of this Fiji Resort is a magnificent building in the design of a Fijian canoe house. Surrounded by sprawling ceilings, hand-woven thatch and an exotic mix of natural materials and modern elements, Likuliku embodies the richness of an ancient culture with vibrant present-day lifestyle touches. A prime location in the Mamanuca island group, with an incredible infinity pool, and an idyllic setting for a wedding or honeymoon awaits you at Likuliku Lagoon Resort. Cruise the sunny Yasawa Islands in the luxury yacht Mystique Princess. Secluded beaches, amazing snorkel spots, and cultural activities make it a great choice for a Fiji honeymoon cruise. 3 & 4 Day Cruises also available! The perfect 2-Island combo: Outrigger on the Coral Coast with great access to main island activities, combined for a great value with the ever popular private island resort, Castaway Island! 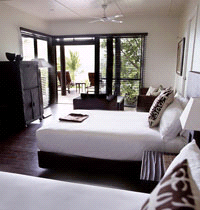 3 nights Castaway Island Resort (Island Bure) including breakfast, lunch and dinner daily. Dolphin Safari Tour for two people, aboard Castaway Island’s fast luxury speedboat around the Mamanuca Islands. 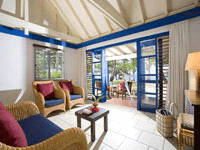 Taveuni Island Resort & Spa is a small exclusive luxury resort which offers the ultimate tropical island experience. It is located on Fiji’s third largest island of Taveuni, the “Garden Isle”, overlooking a beautiful white sand beach and the Somosomo Staits, a world class scuba diving area. Fiji Honeymoon in paradise at Taveuni Island Resort. Tucked amongst the palms on a remote island in Fiji is the Yasawa Islands Resort & Spa with 18 deluxe thatched roof bures offering complete solitude and absolute luxury. Amazing private beach and watersports included. Qamea Resort & Spa is a small and intimate luxury boutique property, discreetly nestled among swaying palm trees and lush tropical gardens. Qamea’s 14 authentic thatched-roof bures and two Premium Villas are for discerning travelers seeking privacy and luxury, and each Villa features a private pool. Guests can avail themselves of a wide range of complimentary activities including world-class snorkeling, hobie-cat sailing, windsurfing, hiking, village visits and more. (**) Honeymoon package is available for arrivals within 12 months of marriage and proof of marriage date may be required. Massages will be pre-booked by resort and presented to clients on arrival and picnic lunch is subject to weather and availability. 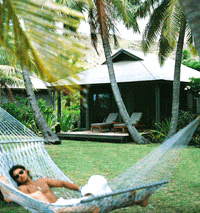 Vomo Island Resort is a secluded paradise nestled just below Fiji’s popular Yasawa Group of islands. It’s an uncrowded place of rich simplicity and relaxation. Malolo is an intimate island resort, with tropical bures near the beach, surrounded by the world’s friendliest people with a living and authentic culture in an unsurpassed island setting. Located in the Mamanuca Island archipelago, just a 45 minute ferry ride from the main island, set amongst pristine white sandy beaches, and a paradise of luxury and seclusion.